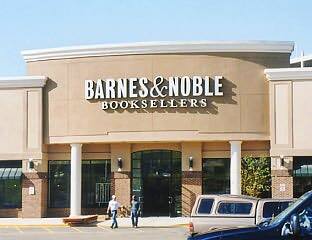 ASHEVILLE, NC – Barnes & Noble, the world’s largest bookseller, will open a new bookstore on March 18 in the Asheville Mall at 3 South Tunnel Road, Asheville, North Carolina. Concurrently, the existing store at 83 South Tunnel Road will close. At approximately 40,000 square feet, the new Asheville Mall Barnes & Noble will be the company’s largest store in North Carolina. The new store will stock close to 200,000 book, music, DVD and magazine titles and include a café serving Starbucks coffee. The store will feature a dedicated meeting and study area on the second floor overlooking Blue Ridge Parkway. The new Asheville Mall Barnes & Noble will be open from 9 a.m. to 10 p.m. Monday through Thursday, 9 a.m. to 11 p.m. Friday and Saturday, and 10 a.m. to 8 p.m. on Sunday, and employ approximately 85 people from the community. The public is invited to a Preview Night Party at the new Asheville Mall Barnes & Noble on Tuesday, March 17, from 6 to 9 p.m. A portion of the Preview Night sales will benefit Buncombe County Schools. Students from the school district will perform throughout the evening, including Enka High School’s performance of Seussical: The Musical, and Black Mountain Primary School’s performance of the play Go Fish. A ribbon-cutting ceremony will be held at 6 p.m. Clifford the Big Red Dog will be on hand to meet his fans. The Barnes & Noble Membership Program. Designed for Barnes & Noble’s best customers, this program gives Members 40% off hardcover fiction and nonfiction bestsellers, 20% off all other adult hardcover books, and 10% off virtually everything else in Barnes & Noble stores and online at Barnes & Noble.com. The annual fee is $25. Rapid special-order service. Can’t find it on the shelf? Barnes & Noble’s massive warehouse inventory is available in real-time, enabling its booksellers to order and confirm the availability of over one million titles at the click of a button. Large-scale children’s department. Bigger than most typical bookstores and stocking more than 15,000 titles in an easy-to-browse environment, the "Barnes & Noble Jr." department is designed to appeal to children, parents, teachers and librarians. Children’s Storytime will be held weekly. Advanced technology movie, audiobook and music-previewing system. The store will feature RedDotNet, the most advanced listening and previewing technology. RedDotNet enables customers to preview select DVDs, Blu-ray Discs, audiobooks or CDs in the store, sampling a title by simply passing it under a scanner. Connected to the company’s online electronic catalog, the store’s listening stations make "browsing with your ears" a reality. Thanks to the latest technology, RedDotNet stations also allow customers to view a three-minute clip of more than 7,000 DVDs. Additional music titles are available for special order. Giant Newsstand. The store’s newsstand stocks hundreds of hard-to-find specialty magazines and out-of-town newspapers. Wi-Fi Service. AT&T Wi-Fi(SM) service allows customers to use their laptop computers and personal digital assistants anywhere in the store or cafe to communicate online, surf the Internet and connect to corporate networks at speeds 50 to 100 times as fast as a dial-up connection. A single two-hour session costs $3.95, and an annual membership with unlimited access to Barnes & Noble and more than 50,000 AT&T Wi-Fi hot spots also is available. Community Center. The store will serve as a local community center, hosting a number of community events throughout the year. They will include author readings and discussions, book clubs and programs with local literary and cultural organizations. The store also will partner with local schools to host book fairs to help raise money for schools, literacy and arts organizations in the community. For more information, please contact Don Fabans at (828) 296-7335. ASHEVILLE, NC – Uber Bandwidth (www.UberBandwidth.com), a leading provider of high-performance, high-value bandwidth to the data center co-location community, announced today that it has surpassed its first connectivity milestone of offering over a dozen Tier 1 connections to its customers. Utilizing their 1-Terabit-capable network, Uber Bandwidth has achieved this goal while remaining the value leader in the industry at $3.99/mbps. "Thirteen and growing monthly," counts Jonathan Hoppe, Uber Bandwidth’s Chief Technology Officer. "That’s how many Tier-1 Internet providers our co-location customers can now access at the Uber Center in Asheville, North Carolina. You can watch the number of Tier-1 providers increase and see who they are right on our website. We have open negotiations with a dozen other providers, and once we reach acceptable agreements we’ll be adding them in to the mix as well. Our plans for the future are big. We’re running diverse path fiber to other carrier hotels around the United States, and by the end of 2009 we hope to directly peer with over 100 networks. We are well on our way to creating the most extreme network of multiple 10-gigabit connections to every major network in the U.S., Canada and Europe." To accentuate their new connectivity milestone, Uber Bandwidth’s website got a facelift too. Chief Operating Officer, John Thompson, comments: "Prospective clients have given rave reviews to the website’s new user-friendly features. It adds online pricing not only for bandwidth but also for the Uber Center colocation space and power, from 1 rack unit up to a full cabinet and more. And to evaluate the robustness of our network, there’s now a third-party speed test to use by just clicking a button on our website. Perhaps most mentioned, however, is the new blog that posts timely information about such topics as: ‘Who is your current list of Tier-1 providers? How can you offer premium bandwidth at $3.99/mbps when everyone else is way higher? And why is your flagship data center not in a major city?’ Many more topics will be addressed on the Uber Bandwidth blog in the weeks ahead." Uber Bandwidth and the Uber Center is a division of Netriplex data centers. Through 24/7/365 support and remote-hands-and-eyes services, businesses anywhere in the world can colocate servers in the Uber Center. As demand for the Uber Bandwidth network grows, Netriplex will deploy it at its six other datacenters across the U.S. and London.